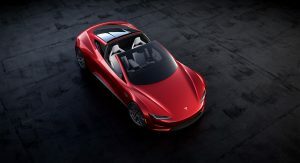 The latest-generation Tesla Roadster is coming and it is promising to be something very special indeed. 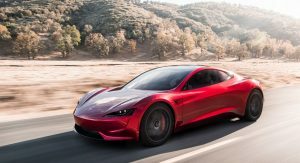 While there are a number of ICE hypercars gunning for record-breaking performance numbers, Tesla chief executive Elon Musk says the new Roadster will top all of them. 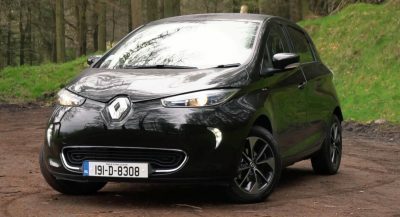 During an interview with Recode, the outspoken executive said that it is important for an electric sports car to top all petrol-powered alternatives. 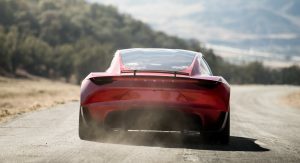 “We’ve got the next-generation Roadster. Which will be the fastest sports car on every dimension,” he said. “Fastest acceleration, fastest top speed, best handling. It’s important to have an electric sports car that’s faster than the fastest gasoline sports car. Tesla isn’t the only automaker that believes electrification is the future of high-performance automobiles. 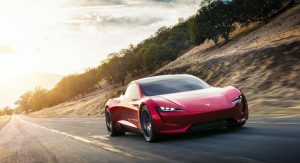 Croatian company Rimac is developing its second-generation electric hypercar and directly targeting the performance specifications of the new Tesla. Additionally, automakers like McLaren have admitted that electric powertrains will soon serve an important role in the world of high-performance cars. 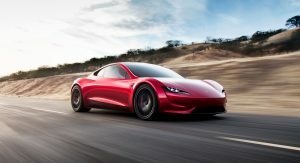 Upon unveiling the new Roadster, Elon Musk revealed that it will have a 200 kWh battery pack and claimed that the car will hit 60 mph (96 km/h) in 1.9 seconds, complete the quarter mile in 8.9 seconds, and reach a top speed exceeding 250 mph (402 km/h). 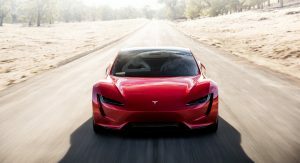 According to Tesla test driver Emile Bouret, these numbers are actually conservative and the finished car will be even quicker. 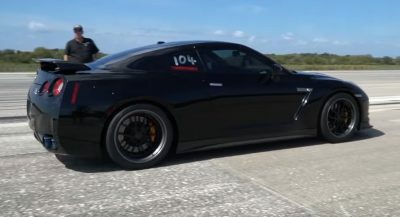 Tire grip load/weight is downforce… See GTR. FYI Also… low center of mass… You think Porsche boxer engine is low, this is on the floor. 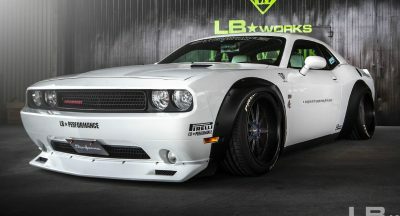 In a low slung car with active aero… this could be amazing. WHY ALL THE HATE? TESLA HAS CHANGED THE AUTO INDUSTRY. EVEN SOMEONE WITHOUT ANY INTEREST IN BUYING ONE CAN SEE THAT. Pointing out that Elon’s statement has limited ‘truthiness’, does not a hater make. Time will tell what this sled of batteries can and can’t do. Try to lose the CAPS eh bud? The new Performance 3 just had updated software, and they added performance tires for a revised Motor Trend test. They hired out Randy Pobst to refine the cars handling. It took 42 days to change the software, and the car went from 1.9 seconds slower on the track to a twin turbo Alfa Guila sedan, to over 1 second quicker. It also matched the Porsche GT4 track time. Its impressive. 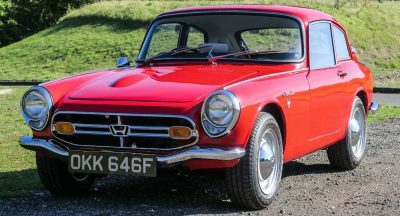 Yeah the car is a bit of porker, but it also has INSTANEOUS torque. Better power/braking management than LSDs .No gas/diesel engine can compare. I would not be surprised the Roadster(even the prototype) could easily beat the 911 GT2 that was modded(and took back record from Lambo) and probably beat a Veyron at top speed. If Tesla wants to make a point of weight saving, I don’t think there will be any competition. First time I’ve heard of that! Not sure how you’ve come to that conclusion, they are totally different things. Fast is only relative to what it’s compared with. Put this on the Nurburgring for 10 laps and it’ll be out of batteries. If drag racing and short sprints is all it does (like it’s current Model S) then sure that’s great and most EVs even Pro Racecar DRAG EVs are already doing that (beating ICE by a large margin), but when you speak handling you then talk about road courses, time attack, lap times, and endurance runs and this is where EVs don’t do well at all. Unless Elon has solved the issue of either the long charge times and the weight, then I’ll start listening. I don’t get it man… He gets high with Joe Rogan, now everybody treats him like a bum pothead. Dude’s a genius that almost single handedly revolutionized the auto industry. Everybody is now racing to catch up to match Auto Pilot and make desirable EV cars. He stated himself that he smokes weed. Everyone treating him as such likely has a lot to do with the statements he’s made about smoking weed, as well as taking other drugs,. his actions publicly,. and really bad timing. Also he didn’t invent or come up with the technology for the Tesla, rather he invested is money into Tesla before it got started and created “Tesla Motors” with himself as CEO. But I could certainly see how he could be a ‘marketing genius’ (specifically) in his ability to hype up just about anything with his words alone. He has some good ideas, and some not good ideas. He (like all of us) is a human begin. I feel like some people (and I’m not saying you HardWir3d, but some people) treat him like some technological inventor/ ‘God’ so to speak. He’s simply a relatively smart man who made some great investments in an electric automaker start-up called Tesla, and funded it (whilst adding some of his own ideas here and there). As of late his decisions have gotten him into quite a bit of trouble, but, (again) he is just a man, and a human being who happens to have some (either bad OR good) ideas here and there. Word… dude is just like all of us, but with resources. That’s why I like him. He wants to do something, he does it. Sometimes it’s impulsive, but I honestly feel he means well. The fact that he creates technology and allows others to use it license free is pretty awesome. He’s creating standards for others to follow. Yes he may not be inventing things, but the way he’s implementing it is industry changing. Kinda like Steve Jobs. He didn’t invent the smartphone… he just made it mainstream. He made it so easy that Grandma can use it. There’s something to be said about that. For cars… drive/live with a Tesla for a week and you know what I mean. Two of my coworkers have one and it is a completely different approach vs other mainstream automakers. From the way you start your vehicle to the way it operates. Now everybody is following suit copying their successes. There’s a reason why people are waiting for their cars like the next iPhone. Absurd… but the culture is like nobody else. I am not a fanboy by any means… but give props when it’s due. I’m an Android guy that despises Apple, but I appreciate that it’s simple and their genius marketing. Wasn’t he supposed to be taking a step back from all of this? It’s time to take the microphone away from him. You know I know they say they have someone managing his tweets. But #1 if they do, they’re not doing a good job. #2 If I at the age of 9 (a long time ago) could sneak in and access a computer, use it, and then sneak back without anyone knowing, then I’m not sure that’s stopping musk (especially today). I do think he’s been a bit vocal as of late. To be honest I don’t have social media (at least not anymore). If I were him, I would say to just take a step back, and meditate. This is gonna give people whiplash lol..
Can your FACE cope with going 0 to 60 in under 2 seconds? Straighline, maybe. Cornering? No way. Teslas are so heavy.